Rookie Wednesday: How do I get, fund & use Bluebird? Lisa shows us how! First of all, you might want to know why you would want to go through what I am about to show you! With an American Express Bluebird account funded with Vanilla Reload cards, you can pay bills with funds charged to a credit card that you would otherwise either write a check for or have to pay a fee in order to pay with a credit card. Confused? Don’t be. This is a way to meet all sorts of different spending needs. First let me walk you through the steps. Signing up for a FREE Bluebird account is where to begin, and it’s pretty simple with no annual fee and there is no credit pull for the card. Once you complete all of the information for an account they will send you a card with your account number on it. It takes about 14 days for the card to arrive in the mail. Please be sure to remember your logon name and password you created. When you receive the card in the mail you have to go back to the website to activate the account with information from the actual card. 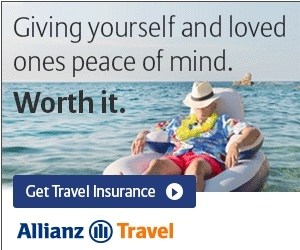 Now your account is ready for use, but you have to fund it to have a balance to pay bills from. 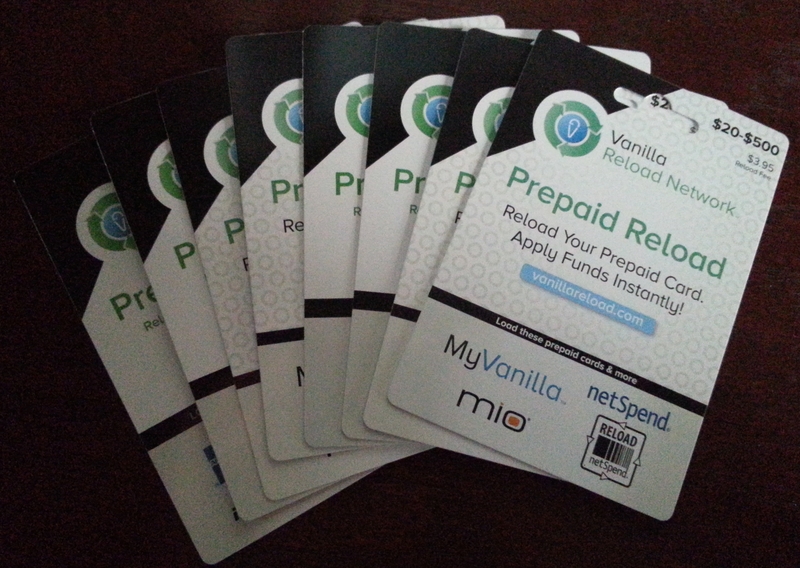 This is where the credit card spend comes in because you can fund your Bluebird account with Vanilla Reload cards which you can purchase with a points credit card of your choice. To fund your Bluebird account with a Vanilla Reload card that you get from say your local CVS store, that you purchased using your point credit card (2x$500 per transaction max allowed) and looks like the photo above, you have to go to the Vanilla Reload site, and the address is also on the card. There you enter your Bluebird card number (be very careful to enter the right number) and then the pin code from the back of the Vanilla reload card you have purchased, and your funds are now transferred to your Bluebird account. 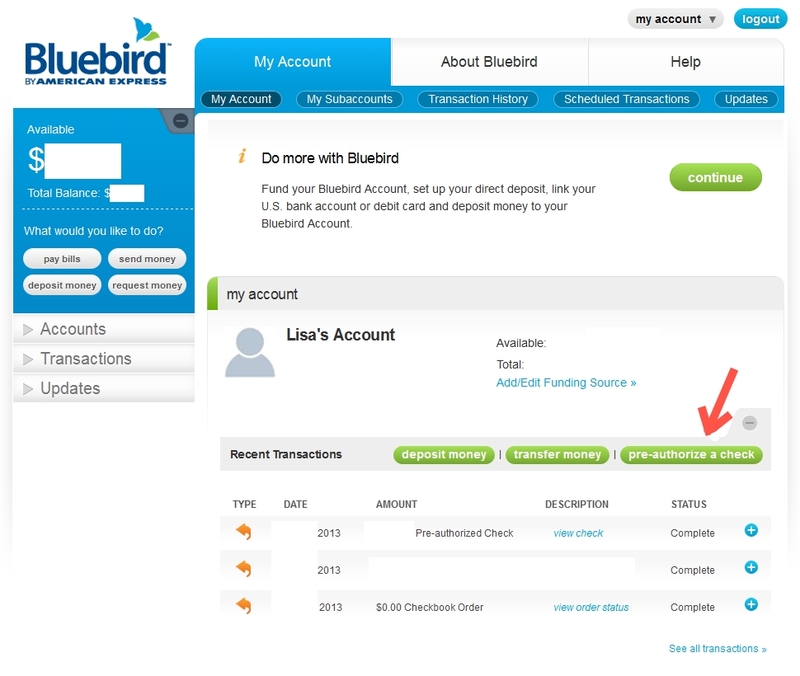 You can verify the transfer by logging in to your Bluebird account and checking the balance. You can load a max of $1000 per day to your Bluebird account this way. If you do not have a reliable source for these little gems, please take the time to review our fellow BoardingArea.com blogger Greg, The Frequent Milers post HERE about buying gift cards with PIN option to use them to load your Bluebird at a Walmart. Now you’re ready to use your Bluebird account to pay bills and you have a couple of options on how you can do that. You can use the bill payment feature to send electronic payments to registered payees, or if your payee is not registered then a check will be mailed and it will just take a few more days for the payment to get to your payee. The date the payment will arrive is shown so you can see just how long each payment will take to arrive. 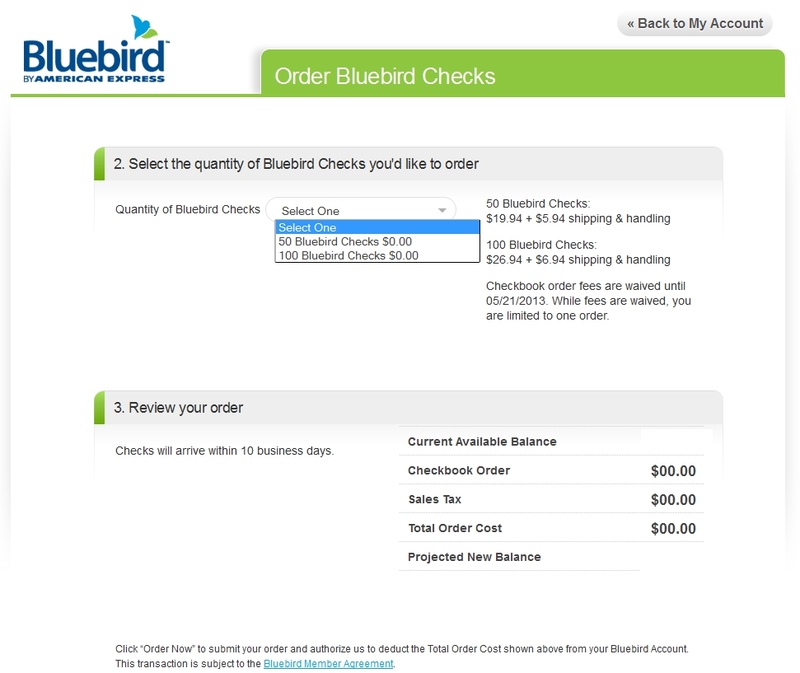 You can also order checks from Bluebird, right now they’ll send you the first 100 checks for free if you order by May 21, 2013 [edit: reports say now until 01JAN2014] (click on the “My Account” and order checks is the last menu item). On the next screen you fill in the check number and amount, then verify the information and enter your PIN. The next screen will give you a pre-authorization code, which you write on the check in the space provided for it. Then you just fill out the rest of the check normally and sign it and send it to whoever you are paying with it. The funds are withdrawn from your balance immediately when you pre-authorize the check, and then your account is updated when the check is paid. There are some limitations with a Bluebird account you should know about as you jump in! 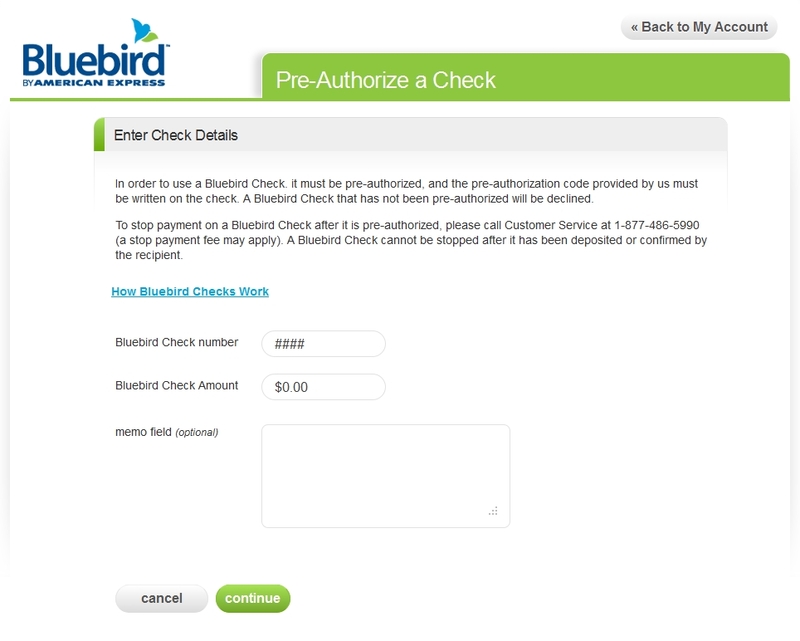 You are only allowed to pay out a maximum of $5000 out of your Bluebird account each month to unregistered payees. The entire list of fees and limits is available on the site under FAQs. EDIT: Be sure to see THIS updated post about Bluebird!